FrisbeeGolfDiscs.com is designed to provide the best information to help beginners and serious players find the best, and get the best price on Frisbee Golf Discs. It also provides interesting information and links to keep you up to date with the latest industry, news, and developments. If you’re new to Frisbee Golf, and want the next great disc that will help improve your game, and get an incredible price for it, you’ll want to read our different articles, reviews and tips and subscribe to our blog. 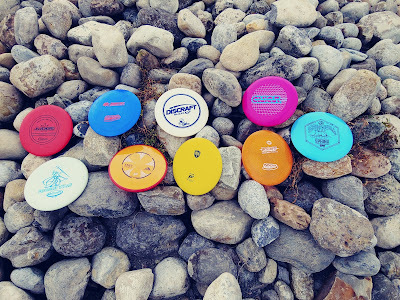 New frisbee golfers can often get overwhelmed when they see the extensive bags carried by disc golf fanatics with dozens of discs and a million different accessories. And while these things are fun and can add to disc golf satisfaction, the reality is, that you only need one disc to play. If you’re looking to get better at Frisbee Golf, there are really only two things you need to do. 2. Discs that are durable enough to last more than a few rounds. DISCS THAT FLY WELL: Compared with a traditional frisbee, a golf disc is substantially more “overstable” and flys very different. Frisbee Golf to Be Considered for Olympics?